Another period of red flag fire weather, with low humidity and gusty Santa Ana winds, is forecast to return Sunday and last through Tuesday. The National Weather Service office in San Diego issued the red flag warning for the entire county with the exception of the eastern deserts. 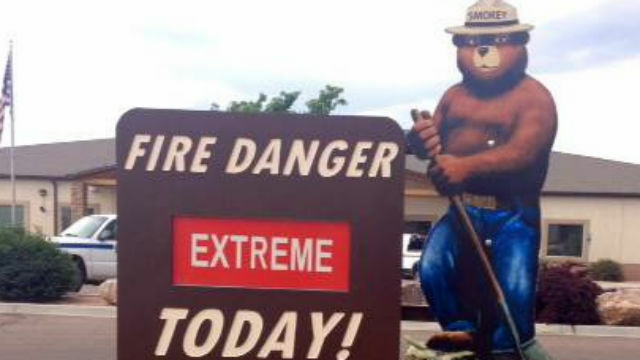 “The combination of strong winds and extremely low humidity will create a dangerous fire weather environment during this period,” the weather service said Saturday. The warning comes as a massive 35,000-acre wildfire burns its way from Ventura County to the Pacific near Malibu. The weather service said the San Diego area can expect northeast to east winds 20 to 30 mph with gusts to 50 mph. The humidity will be in the low single digits away from the coast. “Any fires that develop will likely spread rapidly with extreme fire behavior,” the weather service warned.